University of Eastern Finland is a well sought-after study destination as it puts its students, student wellbeing and high-standards of teaching first. 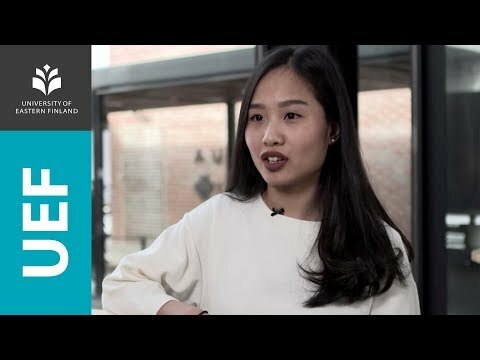 Thanks to its innovative teaching methods based on the latest research, diverse education offerings and flexible study opportunities, University of Eastern Finland aims to be the best academic learning environment in the country by 2020, and be among the leading 200 research universities in the world. At University of Eastern Finland, we engage in close cooperation with various research institutions, businesses and industries, whilst building innovative ecosystems and promoting the emergence of new business activities in eastern Finland. At UEF, we also have extensive international relations and are involved in several international networks as our teaching and research staff, and students participate in various programs. In addition, we have concluded bilateral agreements of cooperation with approximately 100 international universities. To find out more, visit our Facebook, Twitter, LinkedIn, Instagram and YouTube channel. The best academic learning environments are built around innovative teaching methods, research-based education, and diverse use of facilities. This is something which we feel very strongly about at University of Eastern Finland, as we’ve recently renovated our campus facilities, and culture of teaching with flexibility, inspiration and technology in mind. We’re dedicated to ensuring that the learning environment is student focused, and so we’ve invested in supporting flexible study paths by creating a digital workspace. At UEF, we want to create a culture of open science and technology that enables seamless collaboration between our students’ own technological devices and the devices provided by the university. The high quality standard of teaching lead by our teachers and professors allows us to teach and train our students to become ready for the needs of the rapidly changing work life. University of Eastern Finland is home to two campuses: Joensuu campus, and Kuopio campus, and 15,000 students – 1,700 of which are international. We offer our students a variety of leisure activities to enjoy alongside their studies, including sports, international clubs and a choir. Almost 8,000 students study and live at UEF’s Joensuu campus, making it a lively and exciting atmosphere for everyone. We have many services and facilities available for our students, ranging from student health care services, to the teaching training school, as well as a number of cafeterias and campus restaurants for students to choose from. The Joensuu Science Park can also be found at our Joensuu campus, which hosts the university’s science, technology and business teaching facilities. The campus itself is conveniently located in the heart of the city center of Joensuu, which is home to the Ilosaarirock Festival in the summer, and the Rokumentti Rock Film Festival in the autumn. Sometimes known as a Fairtrade City, or the Forestry Capital of Europe, Joensuu is the second largest city in eastern Finland, and 12th largest city in the country, with a population of 75,000. Despite its size, Joensuu is a peaceful city, famous for its beautiful scenery, natural lakes and rivers, which offers an abundance of cultural and recreational activities. The city also offers a vivid selection of theatre and music, not to mention excellent Nordic cuisine. With nearly 7,000 students at our Kuopio campus, you can expect a vibrant and welcoming experience. Surrounded by a beautiful landscape and lake, our Kuopio campus is only a short walk away from the city center, and Kuopio University Hospital. The university’s important student services are never far away either, with the Student Union’s office located on campus, and the student health care services only a stone’s throw away. There’s also a diverse choice of restaurants and cafeterias, so students are never short of options. Also at our Kuopio campus, is the Technopolis Building – home to Kuopio Science Park, and the faculties of science, research and business. Kuopio is the largest city in eastern Finland, and ninth largest city in the country, with a population of 112,000. Surrounded by the wonders of nature, and known for the Puijo Tower, a lively market square and the Kuopio Dance Festival, Kuopio boasts an excellent selection of services combined with a cozy atmosphere, making it an attractive place to live. Not forgetting the Kuopio Wine Festival and Kuopio RockCock festival which offers something for everyone, as does the city’s vast selection of museums, theatres and concerts. For those who are passionate about sports and keeping fit, the city’s numerous running paths, skiing tracks, slalom slopes and swimming pools also offer endless opportunities to get out and about. At University of Eastern Finland, we offer a wide variety of degree programs, including bachelor level studies for exchange and visiting students, as well as master’s and doctorate programs. However, teaching at undergraduate level is conducted entirely in Finnish. We do, however, offer a variety of postgraduate courses which are taught in English. If you’re an international student who’s interested in studying at UEF, we also offer attractive scholarship schemes. For more information, visit our website. At University of Eastern Finland, our Career and Counselling Service offers students the opportunity to take part in an online course on Career Planning.